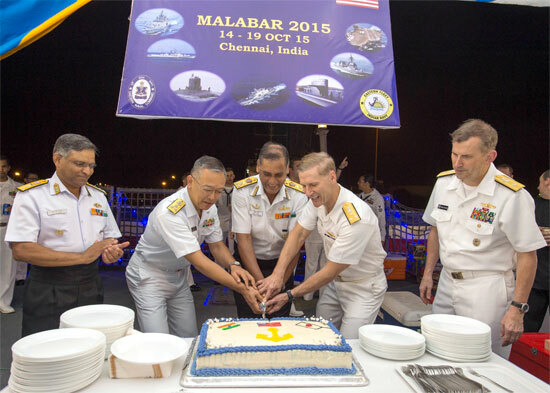 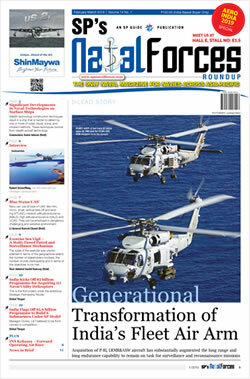 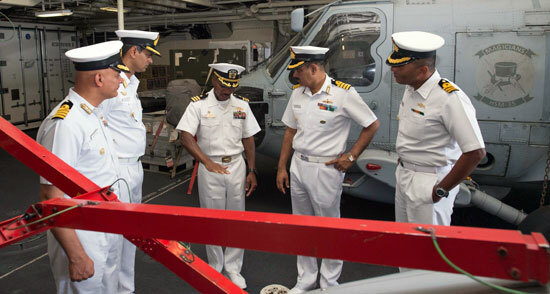 With Exercise Malabar 2015 under way in the Bay of Bengal, Indian Navy personnel have gotten a comprehensive first operational look at Littoral Combat Ship (LCS) USS Fort Worth, the most recent of the Freedom-class vessels built by Lockheed-Martin for the US Navy and one of the sales opportunities the Pentagon has been looking to push in India. 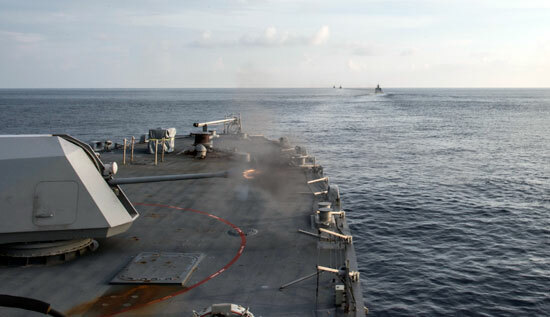 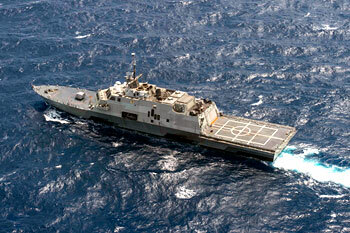 Currently on a 16-month rotational deployment in support of the Indo-Asia-Pacific Rebalance, USS Fort Worth is tailor-made to patrol the region's littorals and work hull-to-hull with other navies, as it is now with Indian frigates and destroyers as part of the sea phase of Malabar 2015. 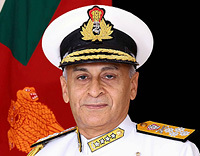 The Freedom-class ships have been likened to corvettes in terms of size, but are known to bring to the table a host of capabilities the Indian Navy has been interested in. 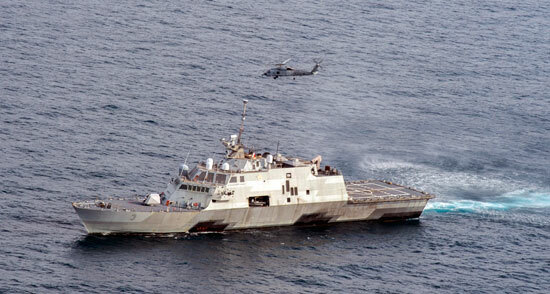 The navy in recent years has laid stress on inducting more offshore patrol vessels (OPVs) for rapid deployment to threat sites near shore with adequate firepower and agility to deter assymetric threats. 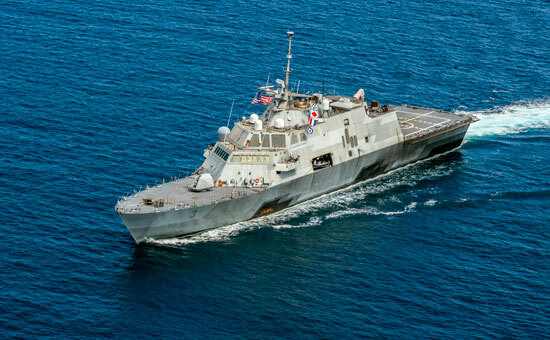 The decision to field USS Forth Worth as part of the current exercise may be seen in the light of ongoing evaluation of that opportunity. 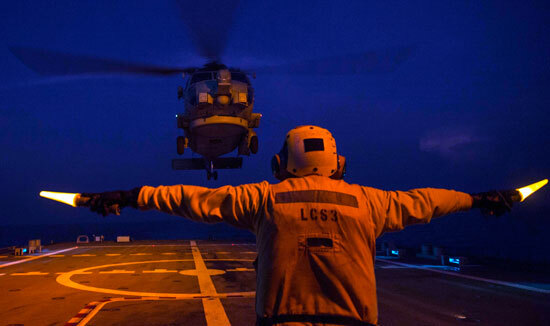 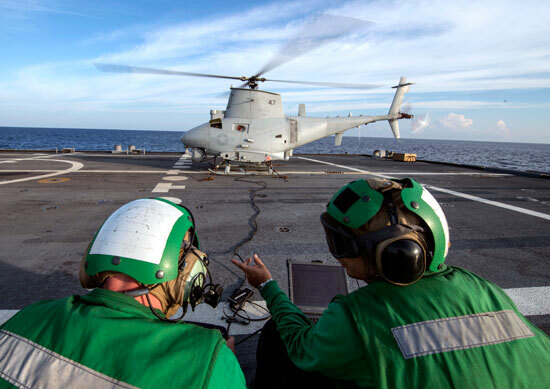 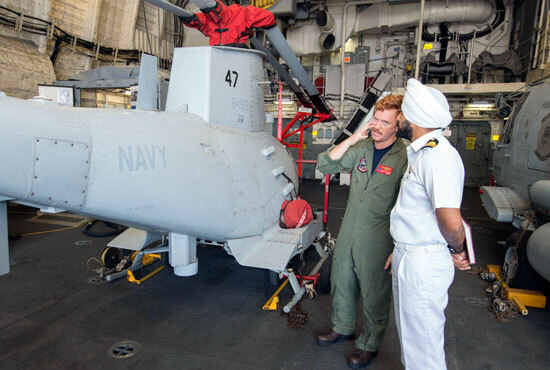 The Indian Navy personnel on board USS Fort Worth also got a chance to witness MQ-8B Fire Scout unmanned helicopter operations, though this was not the first time they saw this.